Fully furnished vacation home! Ready to rent! Private pool and SPA! No rear neighbors! 5 bedroom 5 bathrooms (2 en-suite bathrooms) The club house has 9500 sqf with amazing pool fitness center Tiki bar & Grill game room movie theater basketball volleyball tennis court and more. Paradise Palms is a 24 hour manned security gated entrance. HOA fees include resort amenities & staff cable internet and phone grounds maintenance and a lot more (including exterior painting and roof replacement of the single family homes). Pet Restrictions: Buyer and Buyer's agent to verify with HOA in regards to any pet restrictions. 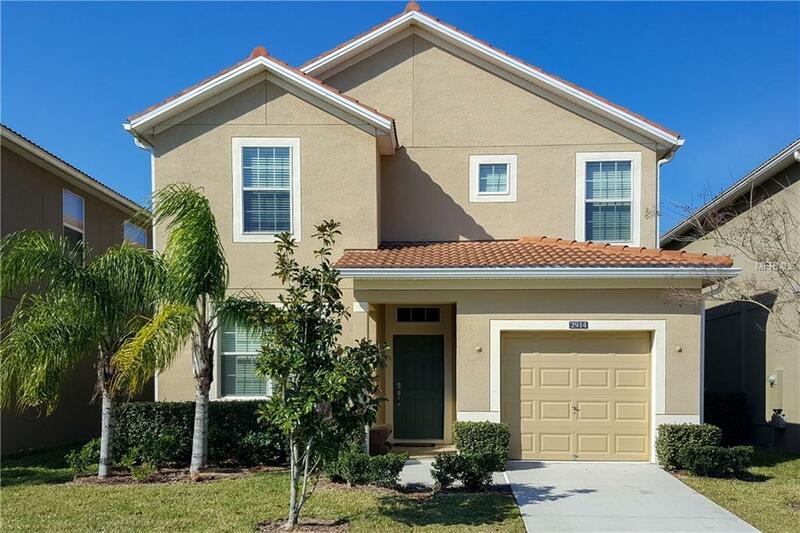 Courtesy of Viva Orlando Realty Inc.